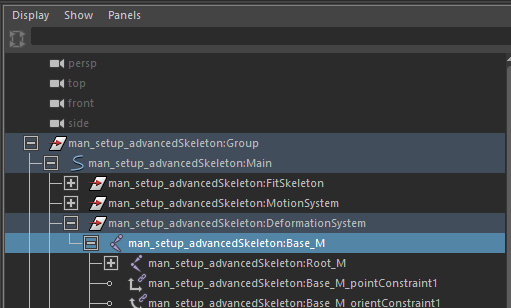 Character rigged using Advanced Skeleton can be easily converted to Golaem Characters. Here is a quick step by step. It appears that Advanced Skeleton is better converted with Detection mode set to Current values. 2. 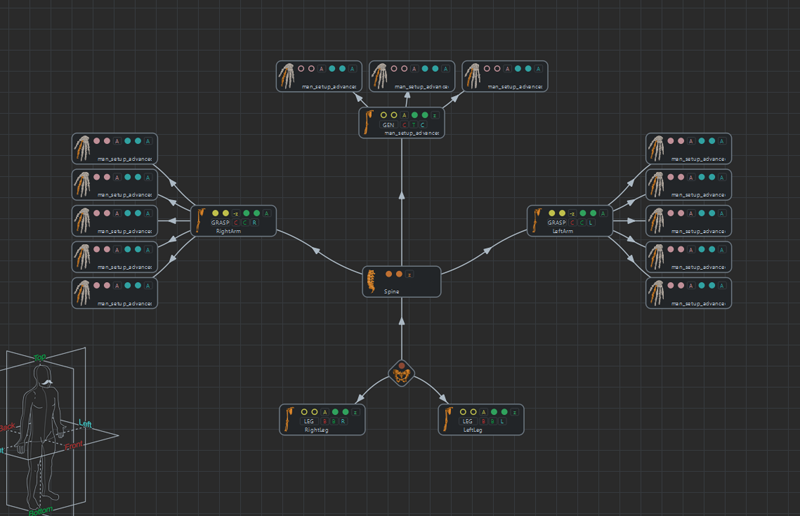 Drag and drop some Effector nodes and connect them to the Leg ones to map the missing bones of the feet. 3. Now when when clicking Check Skeleton Mapping button you see that there are undesired bones in the IK of the right leg. Your character's leg is now correct. 4. The Neck bone is mapped instead of the Head, just replace it. 5. Once every bones are mapped click on Check Skeleton Mapping. If the Character Maker Locator doesn't bend in a good way check your IK planes normals. 6. Go into the Geometry mode of the Golaem Character Maker and add the geometry by selecting each surfaces and clicking + on the right corner of the menu. (please refer to the documentation). 7. Define the Rendering Types. 8. 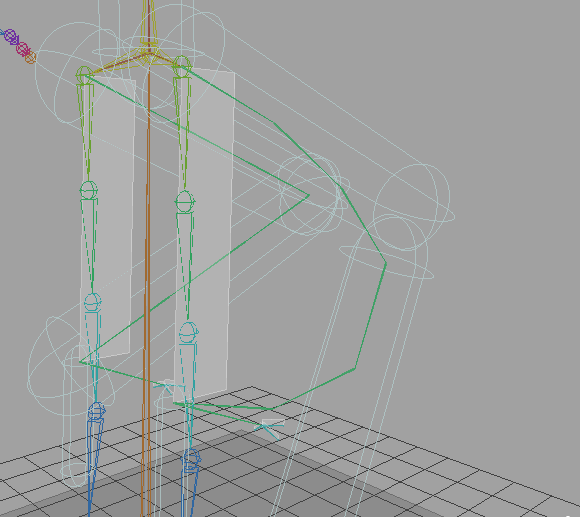 Before exporting your Character geometry make sure to deactivate every scale compensate on your joints. Golaem doesn't support this feature. 9. 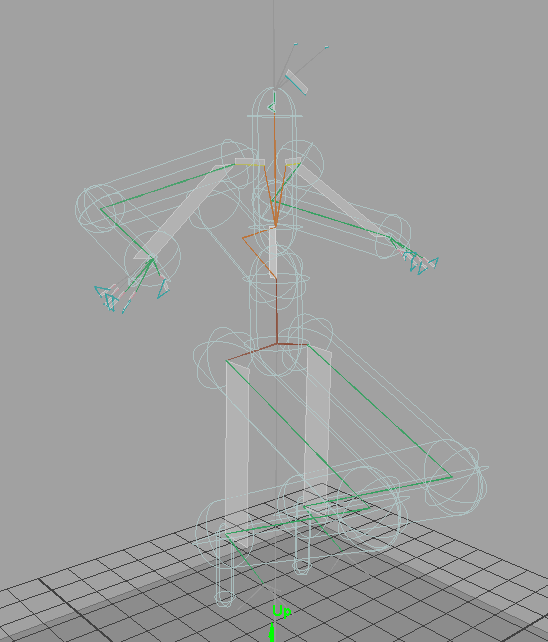 Select Your Character's bones and geometry and click on Export selection as Fbx . 10. Set the bounding box and save your Gcha. 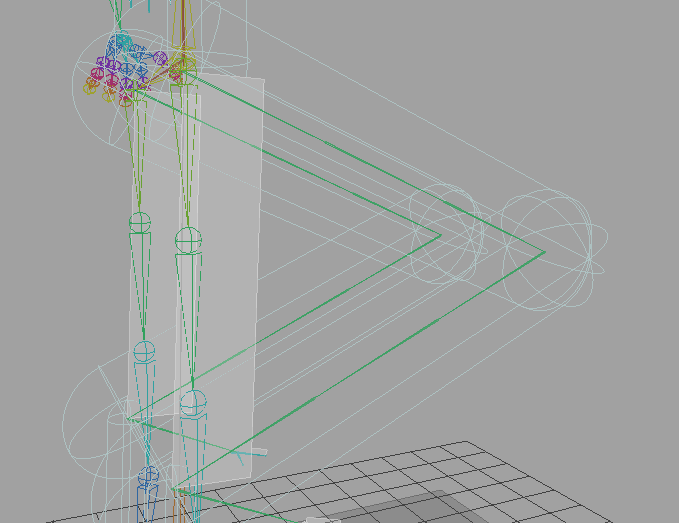 You may open a second maya and import your fbx to check how it looks. 11. On another side select your shaded character and save it as a .ma this file must contain every shaders to be used at render time. 12. Your Golaem character is now ready, save your .gcha!